Show your Image on System Properties!! Few years ago I showed you how to show custom picture on USB flash drive. That time it was a quite interesting trick among the PC users. 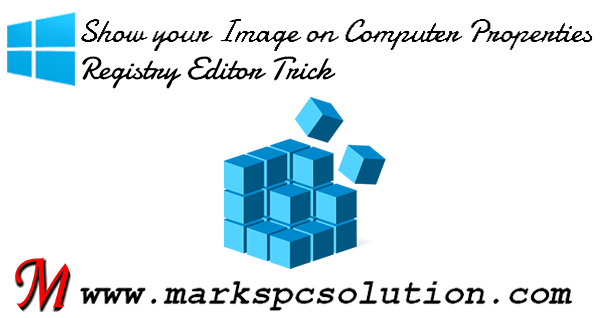 Today I'm gonna show you another trick which will show your custom image on your Computer System Properties! Let's try . . . 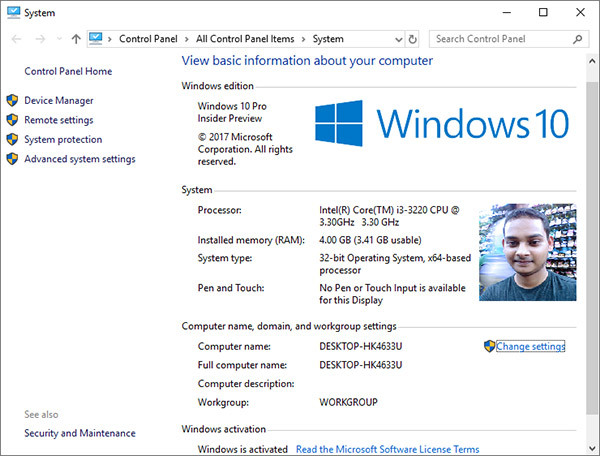 I'm using Windows 10. 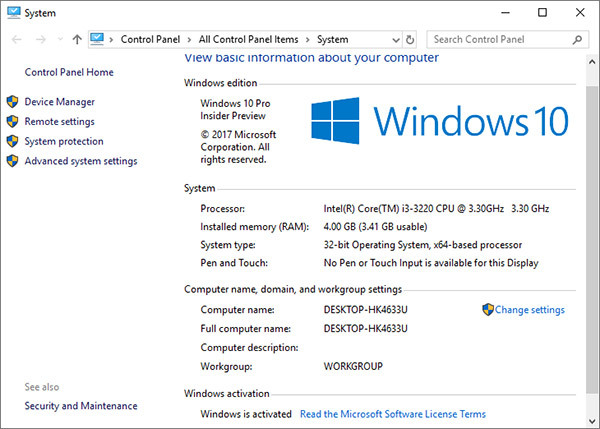 Hopefully it works with the previous versions of Windows too . . .
Before you begin . . . This window shows the basic information of your Computer. Your picture will be shown in the System section. After completing this task, your image will be displayed as mine. The whole task is to be divided into 2 stages. At first, we've to prepare your image. And then we've to work in Windows Registry Editor. You must be careful enough to finish the task properly. Cause if you miss any point this trick may not work . . . Choose an image that you wanna display on your system information. Open that image in Photoshop. Resize or crop the image to make it smaller. It shouldn't be too large. Keep the size within 200 to 250 pixels. That's it. Now you're eligible for the next stage. Click right mouse button either over the OEMInformation or on the right side blank area > String Value > Rename the string as Logo. 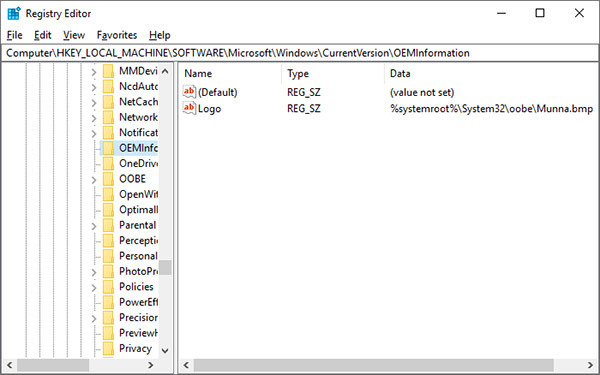 Press OK and get out of Registry Editor window. Now press Start + Pause to view your system information or simply go to Desktop > Right Click over My Computer/ This PC > Choose Properties > See the magic! Inform me whether you've done this or not. Leave your comments below. Thank you. Microsoft Office 2019 is Coming Next Year! Well I believe that this is gonna be a great news for MS Office lovers. Microsoft released Office 2016 around 2.5 years ago. 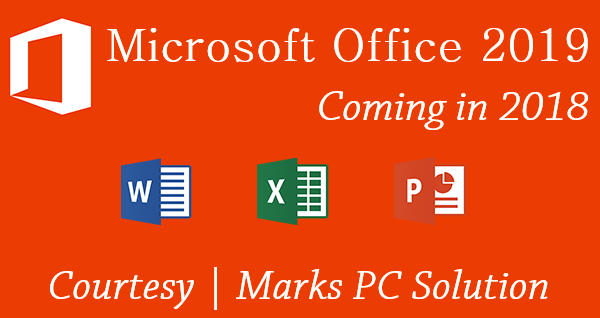 And Office 2019 will be available by November, 2018. So you can celebrate next year. Till then stay with sweet 16! Microsoft announced about their next perpetual release of Office At Microsoft Ignite in Orlando. Mr. Jared Spataro, The General Manager for Office, wrote about its next version i.e. 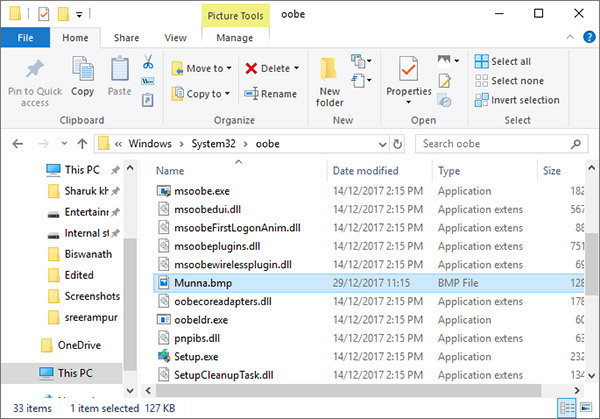 Office 2019 in its Official blog on September 26, 2017. This release is scheduled for the second half of 2018. Microsoft hopes that the previews of the new product will be ready to test in the mid of next year. Features of Office 365 will be included too! Hope the next version of Office will be of great use for all. Thank you . 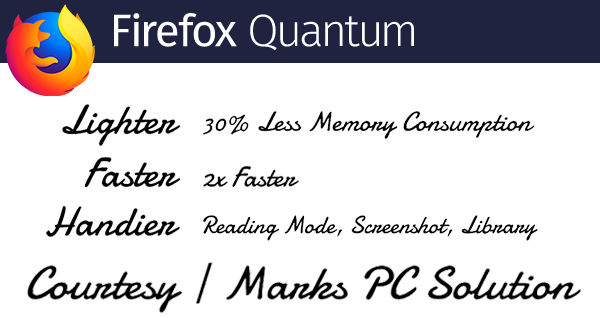 . .
Meet Firefox Quantum - It's Lovely!! When working on web I always prefer Google Chrome. But it's time to think about something else. Yes, the new Firefox. Mozilla named it Firefox Quantum - it's updated, improved and dashing! Let's give it a try . . .
Mozilla's CEO Chris Beard says that this new version of Firefox is blazing fast. This rebuilt brand new web browser will deliver a completely different experience to the users. It's modern, quick and efficient. Mozilla hopes that the Internet users will also agree with them. Now time will say what the reality will be . . .
What's new in this rebuilt? Tips for the new users . . . If you're new to Firefox then I would like to share some basic tips that may enhance your experience with this browser. Before you begin make sure that you've got the latest version of Firefox i.e. 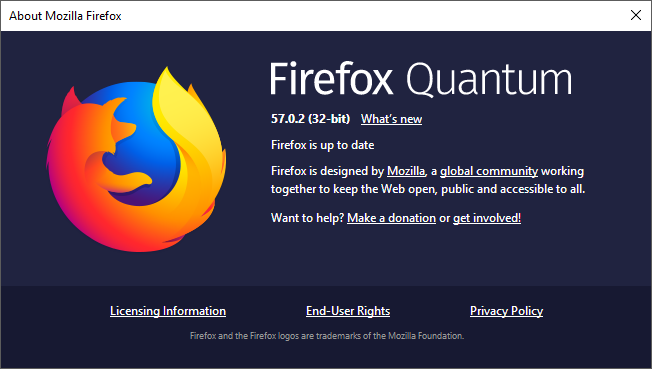 Firefox Quantum 57.0.2. It's like Microsoft Edge's Reading Mode. If you're bored with the ads and graphics of a website, then you can enter into Reader view. This will remove ads and unnecessary graphics from web page and optimize it for better reading. You will find the reader view button 📄 at URL bar. Remember that some websites may not support reader view. In that case you will not see the reader view button. This new version of Firefox includes a nice screen capturing tool. Most of the available screenshot application can only capture the monitor view. But this one is capable of capturing a whole website. That means you can only capture and current view as well as the full webpage. Follow the above image. You will get the screenshot option by clicking the action button which is located in the URL bar. This feature is called Pocket. If you need something to watch later, then you can save it in pocket. Later you can find it in your pocket list. Pocket button is also available in URL bar. Don't forget to sign in to Firefox before using Pocket. Firefox Quantum provides library facility for the users. This is really a great feature to get all of your stuffs in one place. Your pocket saves, bookmarks, history, screenshots all will be available in library. You will get the library icon at the upper right corner of the browser. Need privacy? Choose New Private Window from menu button or press Ctrl+Shift+P for private browsing. This will take you to the private mode which is tracking protected. When you're in this mode your history, cookies, temporary files and search queries will not be saved. Online trackers will be blocked by Firefox so that your information can't be leaked. I think Firefox lovers are already appreciating its team for this great work. And hopefully chrome lovers will also think about Quantum . . .